That’s right. For just $19.99 you get access to all the best Mailbird has to offer. This is the best sale we’ve ever offered, and it’s only for a limited time. So, don’t miss out. $19.99?! That’s only two months of Outlook access, and less than half the cost of emClient. 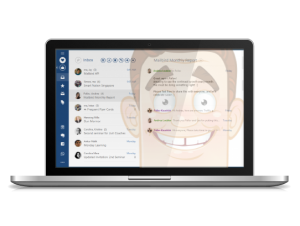 Mailbird is a Windows email client, and it’s quickly growing in popularity as the best way to manage multiple email accounts. It boasts the most customization options of any email client, so you can adjust Mailbird to match your style. Colors, layout, font, and a ton of other options ensures it looks awesome on your device. Mailbird is also easy to use. Everything is right where you need it, in a way that is easy to use and understand. Unlike other clients, we don’t clutter up your client with too many useless and unnecessary features. Even it’s integrations are completely optional, and you can activate them, or leave them be. The Pro version of Mailbird includes the ability to add and manage unlimited email accounts. Gmail, Windows Live, Yahoo Mail, you name it. Best of all, it’s unified inbox makes it easier than ever to stay on top of your inbox by bringing all your email into one view. 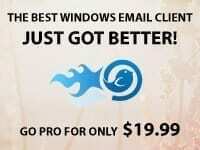 Pro also comes with some amazing features like email speedreader, and other cool tools you get access to by upgrading. Why is this such a great deal? This isn’t a subscription. For one payment of $19.99, you get lifetime access to Mailbird Pro. Given the fact that we are constantly updating, improving, and adding to Mailbird Pro, locking in a lifetime of use for just $19.99 is an amazing deal. Just for example, an Office 365 for using Outlook costs $9.99/month. Claim this deal now, because it won’t last long. 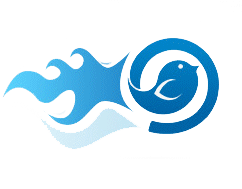 If you still aren’t sure, why not download Mailbird for free? Every new user automatically gets a 30 day free trial of Pro. Try it out and decide for yourself before upgrading. Just don’t wait too long! One thought on "The Valentines Gifts Keep On Coming"